When it comes to bridal makeup we’re huge advocates of the, “yourself but better” philosophy. If you don’t usually wear winged eyeliner and and a bold lip – then why do it on your big day? However, if that is your style, then go to town! Luckily for Spring/Summer 2016, anything will go makeup wise. Literally, anything. The recent Fashion Weeks featured a mix of make up looks from soft and natural to bold red lips; graphic eyeliner; highlighted skin; even facial embellishments. …With modern long lasting formulations there really is no need to fear a red lip. A pop of colour on the lips can liven up the complexion and make you look instantly polished. 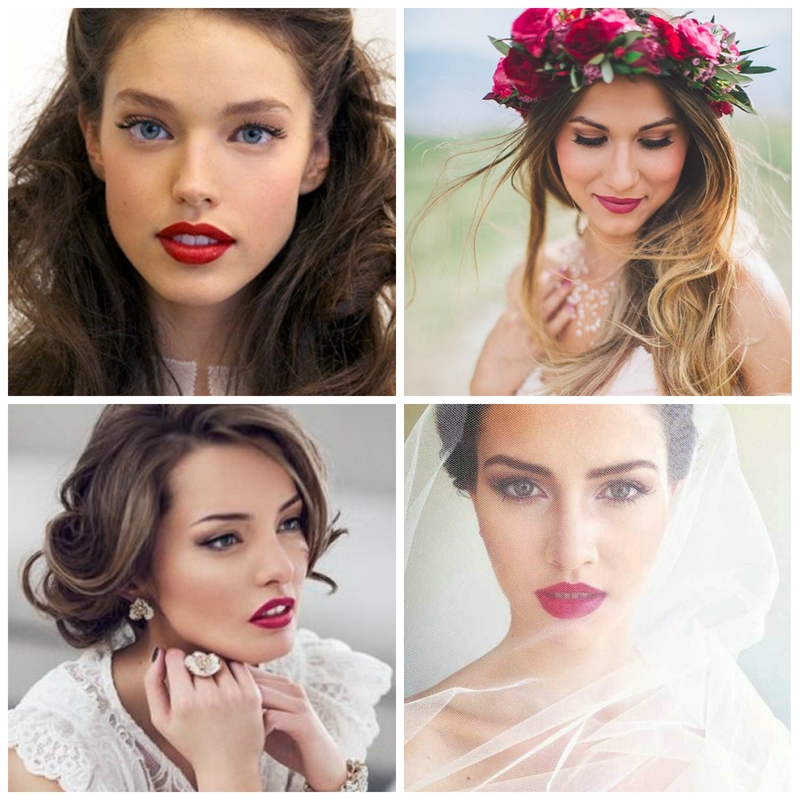 A red lip also works well for brides who want to embrace a vintage look on their big day. Get the look with the Nars Velvet Matt Lip Pencil in Dragon Girl – we love this product for the easy fool-proof application and the fact that it lasts and lasts. … Fashion designers keep trying to get us back into blue eyeshadow! As with highlighting, if makeup isn’t your forte, it’s probably best to leave this to the professionals as bad blending could lead to a bruised-eye look rather than wedding ready! However, done properly, blue eye makeup can be super pretty and make blue and green eyes really pop. Personally we think it’s best to stick to timeless, neutral shades when it comes to wedding day makeup – but why not have fun with the look on your hen do or honeymoon? 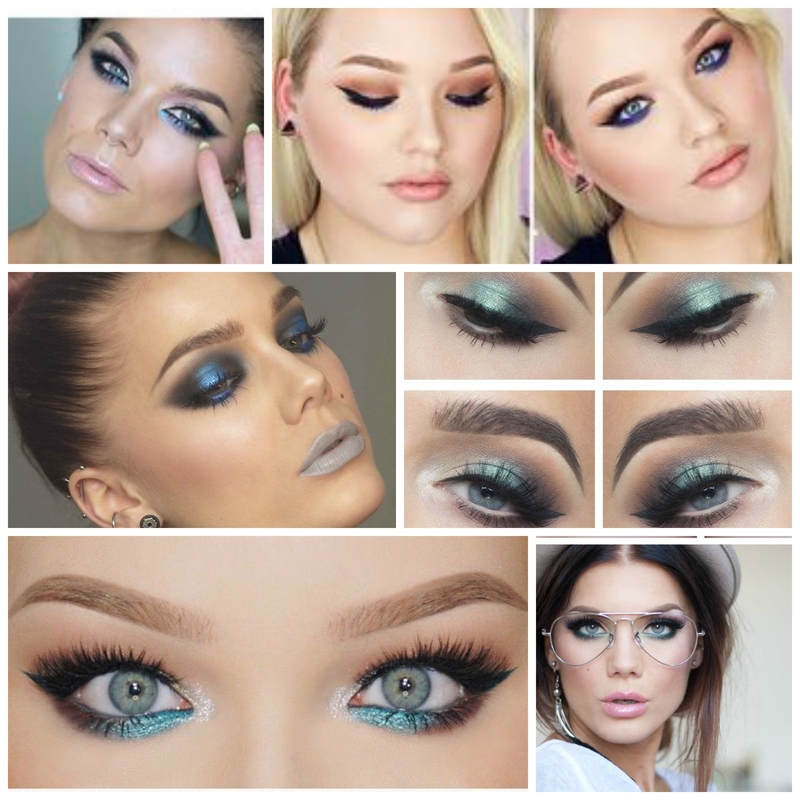 Swedish makeup guru Linda Hallberg and Dutch YouTube star Nikkie Tutorials rule if you want to check out any tips and inspiration for blue eye makeup looks (or any looks for that matter). Posted in Beauty and tagged Beauty, becca shimmering skin, bridal, bridal red lip, highlighted skin, highlighter, makeup, nars, red lip, strobing, velvet matt lip pencil. Bookmark the permalink.